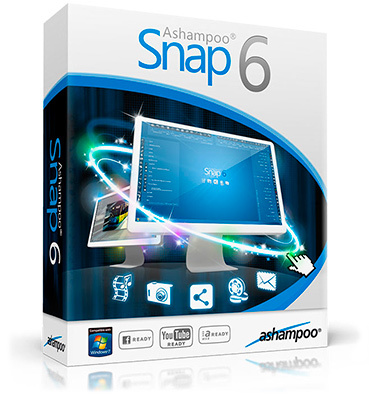 Ashampoo Snap 10.0.7 Portable » SoftLab-Portable.com - Portable Soft! With the new Ashampoo Snap you can capture just everything on your screen! Ashampoo Snap enables you to create high-quality screenshots, videos and demos of your screen content. Edit, save and share your excellent results with others. This new version offers lots of innovative features and improvements, especially in the areas of video capture and editing tools. The new video mode! Use the video mode to create videos and demos tailored to your needs. Capture film sequences or computer games (in a window) and save them as high-quality video files. You can also produce demos like video tutorials for software or presentations of websites. Videos and demos can be saved in different formats using various codecs. New fantastic features, like cursor and zoom effects, are available during video capture. Furthermore a recording can be paused and resumed anytime, in order to, for example, switch between applications or prepare the screen content. Of course, you are not limited to the main screen anymore, because Ashampoo Snap also supports multi-monitor environment.